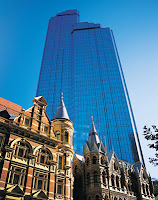 Nathan Johnson is a Senior Business Analyst working around Melbourne. We met recently and discussed the role of the BA, the current explosion in demand for Analysts and the importance of building a community of practitioners in the city. He also agreed to make a guest contribution to Better Projects about UML modeling. Thanks Nathan for the contributions. Here is part 1 of 2 articles on modelling. Business analysts should model scenarios, functions and discussion points from day one of the project. Use UML models at the first opportunity, even if your department doesn’t practice them officially. They will be enlightened to see simple, clear descriptions of your requirements, compared to the structured techniques from the past. Concentrate on the use case diagram and a conceptual class diagram at first. If you have a Business Analyst who does this exceptionally well in your organisation, pay them really well and try to retain them. They are very hard to find. Many business representatives instantly warm to the use case diagram, because they can see themselves within the diagram, playing out a role or using the new system. The use case diagram is a great way of building rapport with your business representatives. 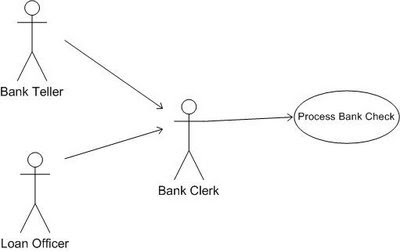 Encourage them to help you model this diagram, include their business vocabulary in the use case names wherever possible. Try to avoid users corporate job titles as the names of your actors in the use case model. Use actor hierarchies to show them where they may fit in exactly. Nathan’s consultancy is SNJ Consulting. They have been providing business analyst services for clients worldwide. They will identify your business problems and offer clear, concise and straight forward requirements solutions that meet the needs of your users and satisfy your business objectives. SNJ’s areas of expertise are; Business Problem Solving, Feasibility Studies, Business Cases, Business Analysis and Requirements Gathering, Process Re-engineering, Workshop Facilitation, Client Management, Requirements Mentoring and Coaching, and Requirements Quality Assessments. I can´t agree more. I start the kickoff meeting with a pencil and a paper ready to draw the use case diagram and a simple entity class diagram. I do that so often that my clients are getting used to that and some of them started using thoses diagrams to discuss internal issues or to model processes without involvement of a system. I also like to use a activity diagram to give things a sense of sequence.